It’s officially summer here in Bend, OR…and when you don’t have air conditioning, that pretty much means, no oven. My sweet tooth kicked in big time a few days ago, so rather than baking cookies, I opted to experiment with making some raw treats. Our love for tahini has grown even more over this last year, so I wanted to try to create something incorporating tahini…and cacao…my two loves! Luckily, my little experiment was a success!! 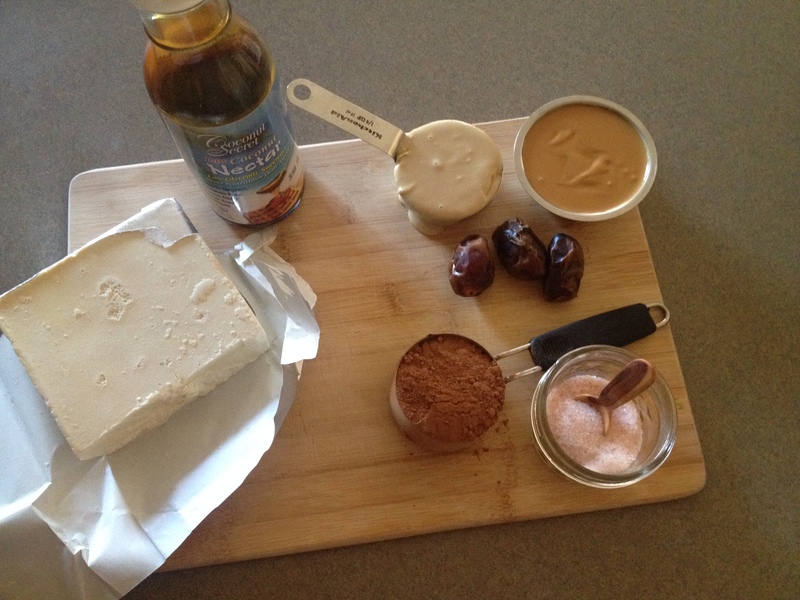 Gently melt your cacao butter either by using a double boiler (heat on low) or in the dehydrator. Stir frequently, until completely melted. Next, whisk in your cacao powder, salt, and coconut nectar. Taste it to make sure it’s sweetened to your liking – you can add more nectar or syrup if needed. Carefully fill the base of your molds, about 1/4 of the way. I used mini silicone tart molds and silicone ice cube trays. Put your molds in the freezer to set for about 10 minutes while you prepare the filling. 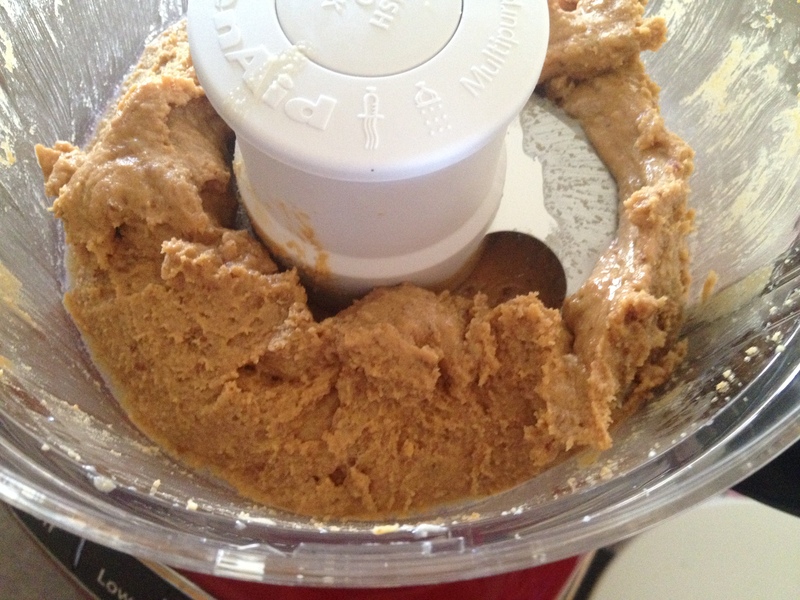 In a food processor, pulse/blend your choice of nut or seed butter, tahini, and dates. Mix until smooth. 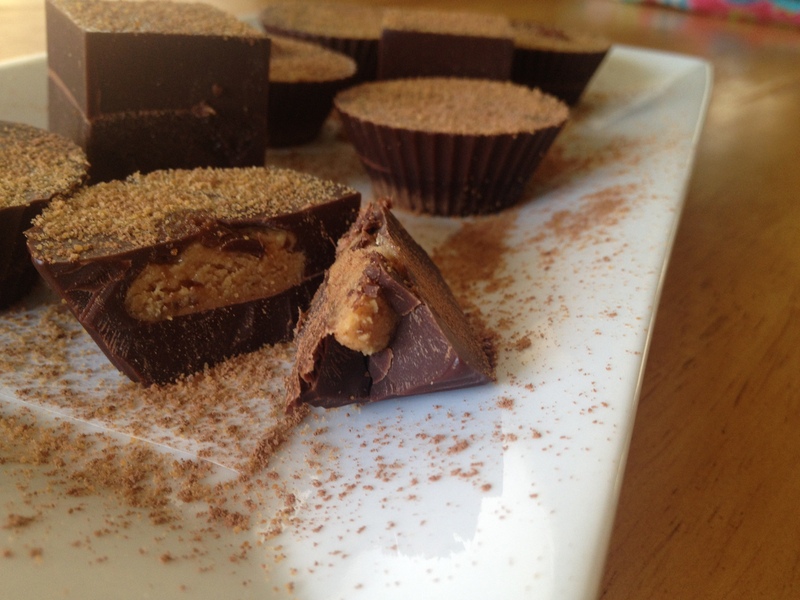 Put a small dollop of the filling in each mold and then pour more of the raw chocolate mixture on top of that. Let the molds set in the fridge for at least 1.5 – 2 hours. Remove from the molds and ENJOY! 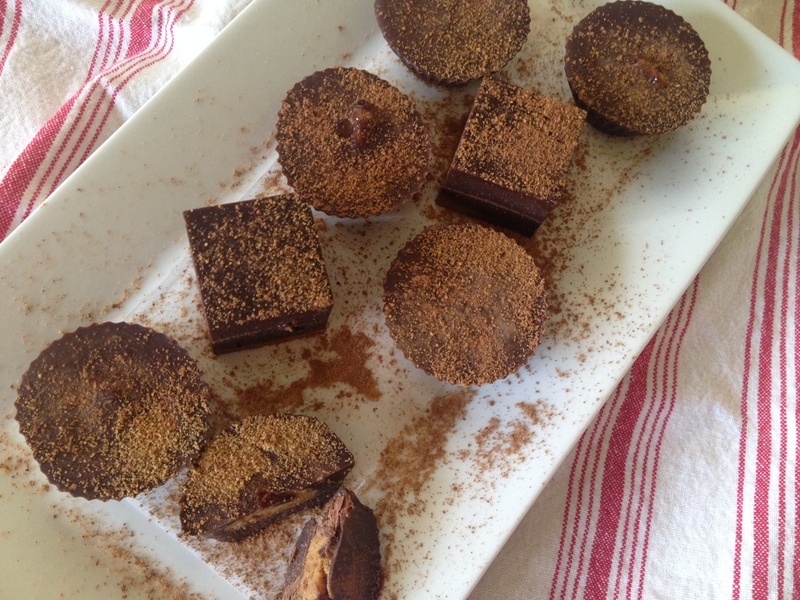 We sprinkled ours with some extra cacao and coconut sugar. 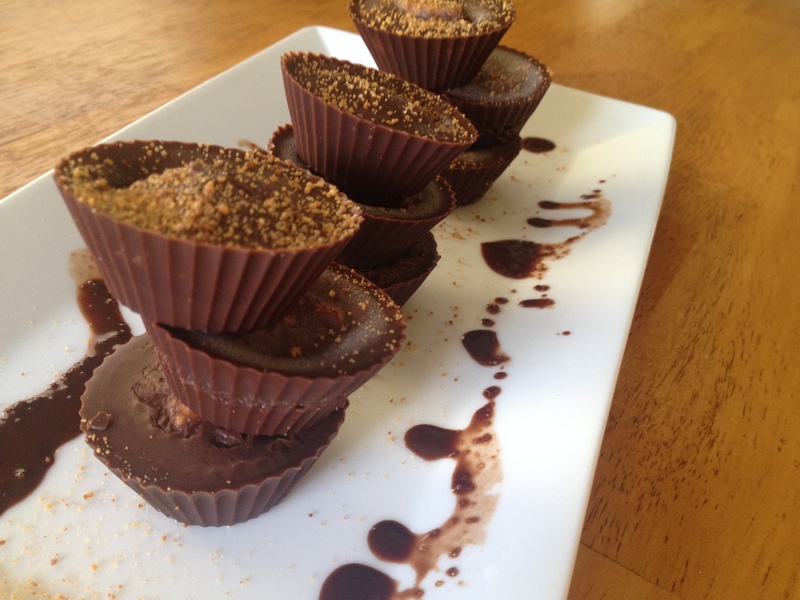 When eaten right out of the fridge, the outer part of the cup will be hard, so I recommend letting them sit for a few minutes at room temperature to soften a bit. * If you don’t have cacao butter, you can use coconut oil instead, but from my experience, coconut will become the dominate flavor. You’ll have leftover filling…which is a good thing! We eat it by the spoonful, add it to smoothies, use it to stuff dates, spread it on toast, and even add it to overnight oats! I had to make A LOT more because Willow kept eating it! 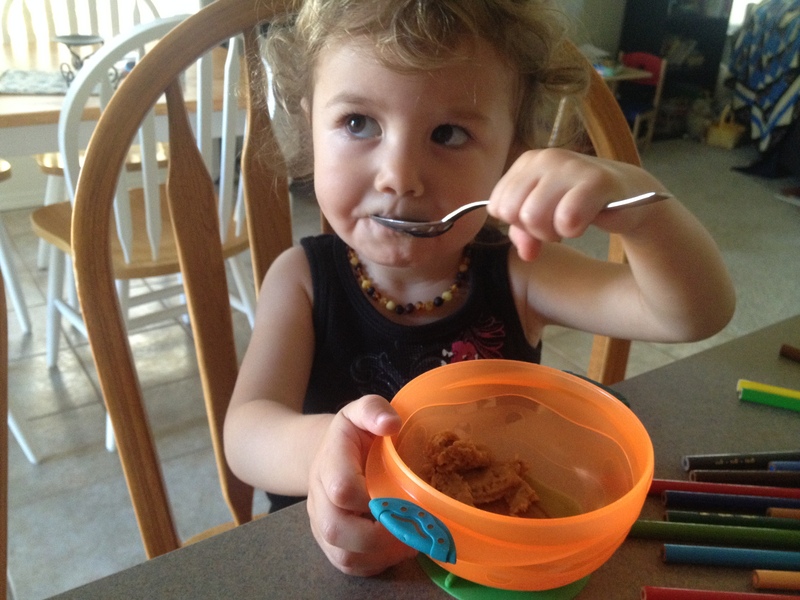 On her third helping of tahini filling! 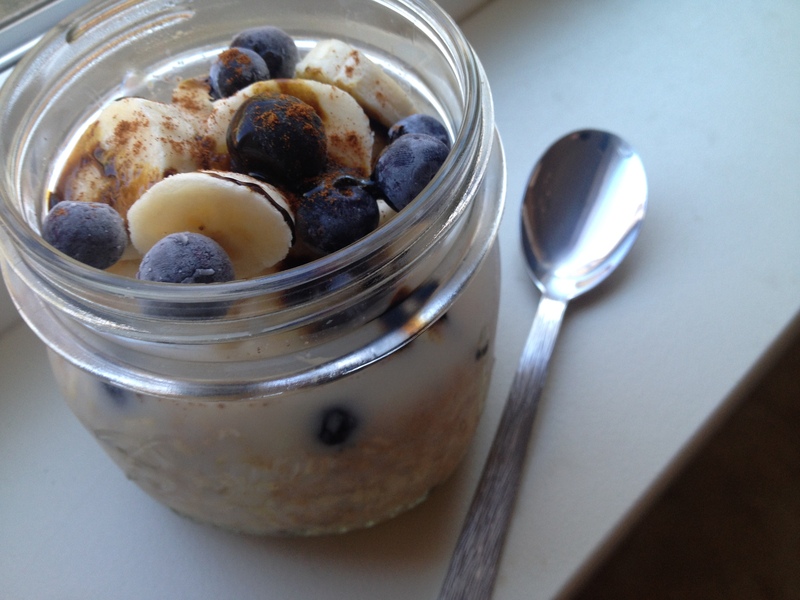 Overnight oats with a tablespoon of the tahini filling mixed in! 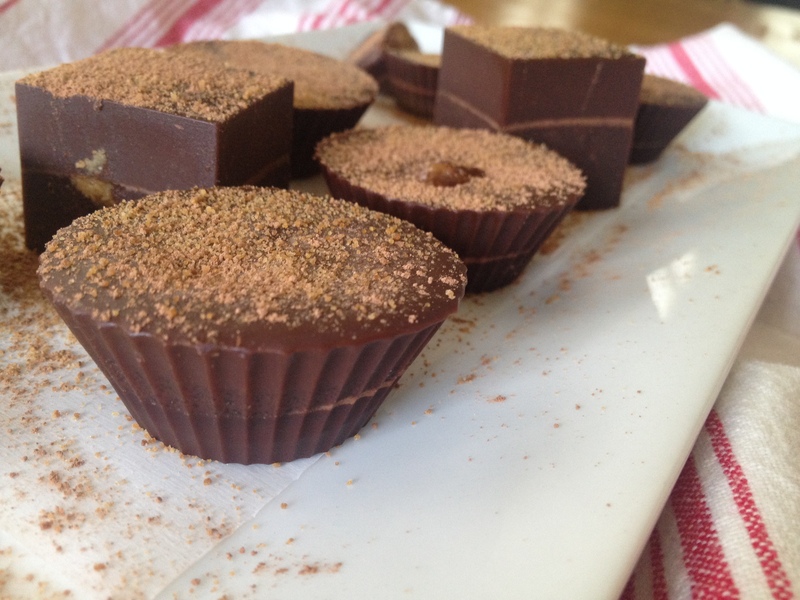 These were made using coconut oil instead of cacao butter – due to the heat here, they softened and melted pretty quick! Thank you so much! I appreciate the follow and your kind words. I’ll head on over to check out your blog 🙂 Enjoy your day!! I wish I could go through my computer screen and taste these amazing treats. They look so good! Wonderful post! Awww! Thank you 🙂 Yum!!! Those truffles sound amazing! Thanks so much 😀 I’ll let you know how I get on with the tahini cups. I have a bunch of cacao butter to use so hopefully I’ll get around to the recipe soon!